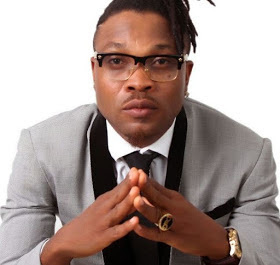 Nigerian music artiste African China, in the early 2000s, used to be one of the few musicians that used their songs to criticise societal ills. At a time, it was reported that the government was unhappy with his songs and declared a manhunt for him. Fast forward to the present day and so little has been heard from the ‘crusader.’ In fact, the rumour going around town is that the singer had gone broke and dumped music to become a hairdresser. In a chat with Saturday Beats, African China debunked the rumours claiming that he was in the studio making new songs. He told Saturday Beats that he had already released a song titled, ‘Letter to Mr. President,’ and the song is already making waves. He added that while some of his colleagues have indeed gone broke because they spent their money lavishly when they were in the limelight, he is able to walk tall because he had mapped out a fallback plan. “There are some of my colleagues that cannot walk with their heads high like I do today simply because they spent their money lavishly. They spent their money in clubs, on women, alcohol and drugs. I did not do that and now, I have something to fall back on. Most of these colleagues go around saying that they need sponsors, they use the excuse that most of the younger artistes are being sponsored by ‘yahoo boys’. The reason they are saying that is that they cannot support themselves but I can because I have something to fall back on. I made good use of my time and I am so happy about that. I can always walk around with my head high anywhere I go. The singer hinted that he did not shut down the rumours because there was no point, saying that he was a victim of blackmail. “I read all the lies about me but I intentionally kept mum because there was no need taking issues with anyone. Everyone is entitled to their opinion, they have said what is on their mind and that is their business. Most people just want to get at you for no good reason. There are some people that asked me for money but I did not give them. Maybe they are the ones who thought they could use false stories to tarnish my image. It is when you give them the right to ‘run you down’ that they would, but if you don’t give them the chance, they would move on. “When I started music, the ‘Twitter’ we had was to knock on people’s door to inform them about our projects or interviews on the television. Even when there was erratic power supply and no one saw our interviews on the television, we succeeded. So nobody can pull me down. Today, people pick their phones, say silly things and they become superstars. Back then, it had to do with your creativity. If I could make it then, I would always make it.